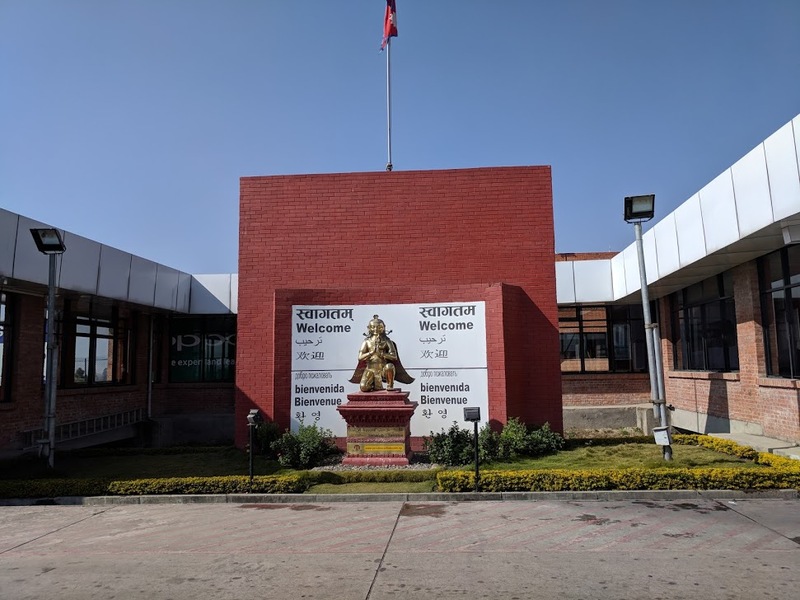 Operational International has partnered with Dooley Intermed to build the first eye hospital in the Himalayan area of Bhakunde Besi in Nepal, the area’s poorest district with a population of over 600,000. 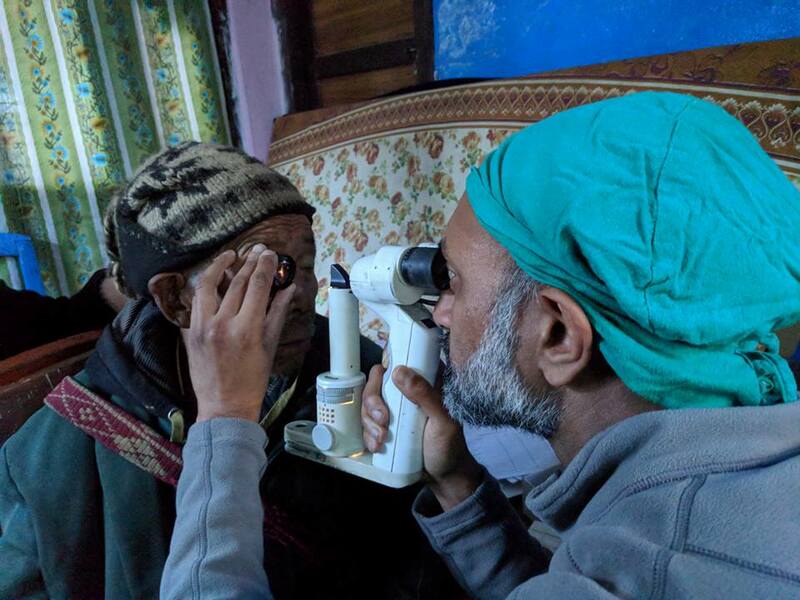 There are tens of thousands of patients in that area who are suffering from eye diseases without a single hospital dedicated to provide eye care. 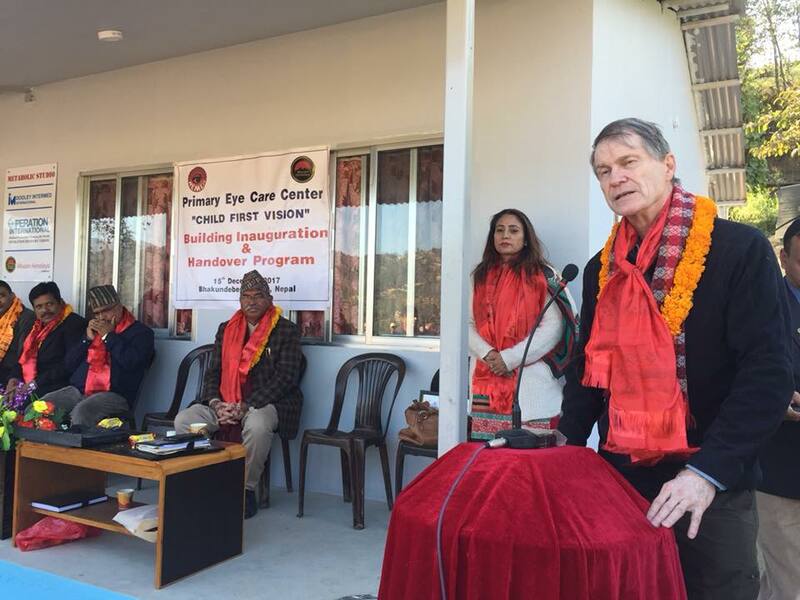 We are proud to part of this ambitious outreach to offer the only eye hospital in the area. 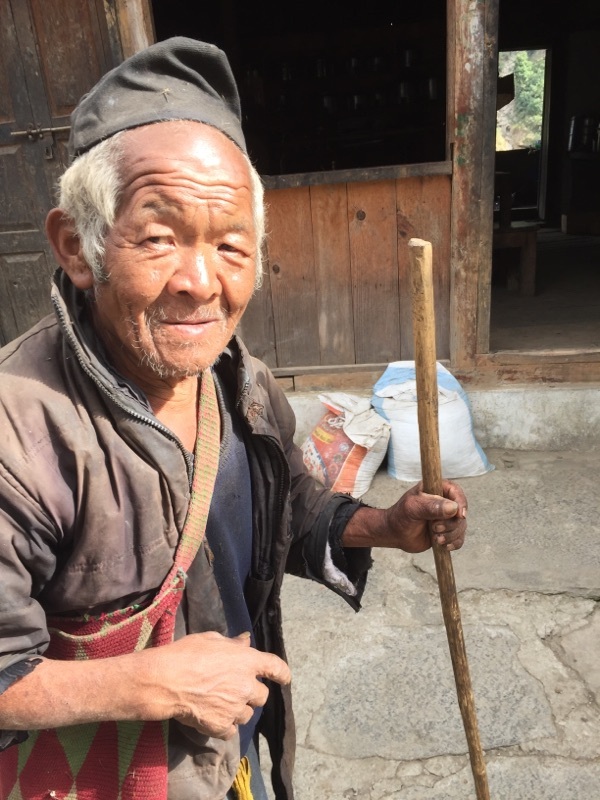 "Imagine you live in a remote Nepali village one day's trek from the nearest road. Now imagine a group of strangers arrive with sharp instruments and want to operate on your eyes. It requires an abundance of faith. For their part, the communities know we're due to arrive. 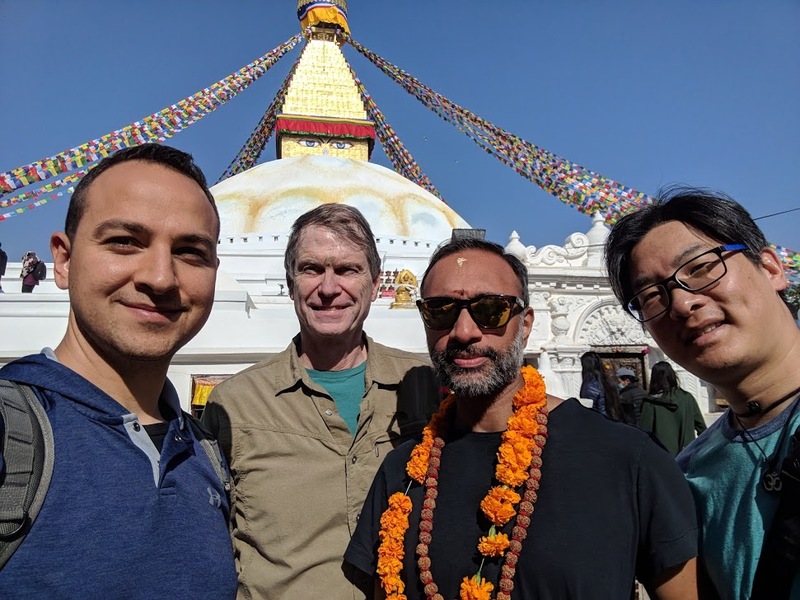 Thus it was important for the Dooley Intermed - ORV team to understand a bit more about the rich, if somewhat enigmatic culture of Nepal and its people. Such was our goal today. 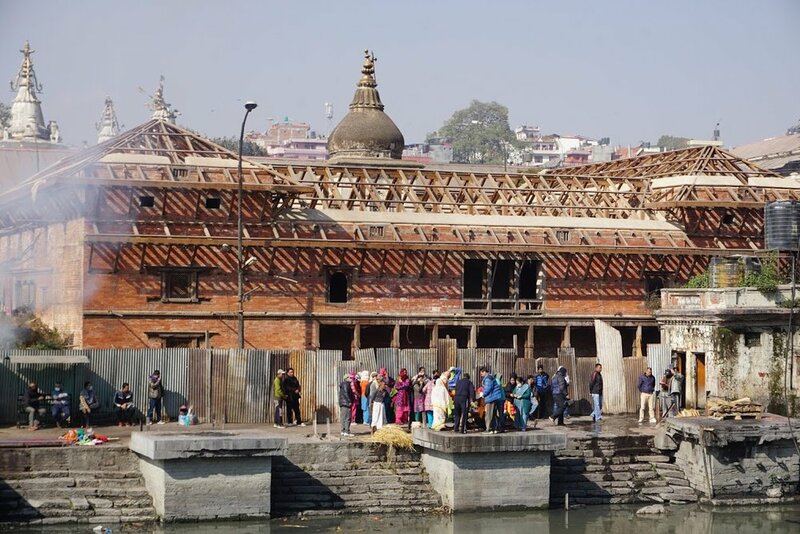 First stop was Pashupatinah Temple, a UNESCO Cultural Heritage site, and sacred Hindu temple on the banks of the Bagmati River. From across the hill we watched as a half- dozen families cremated their dead loved ones. 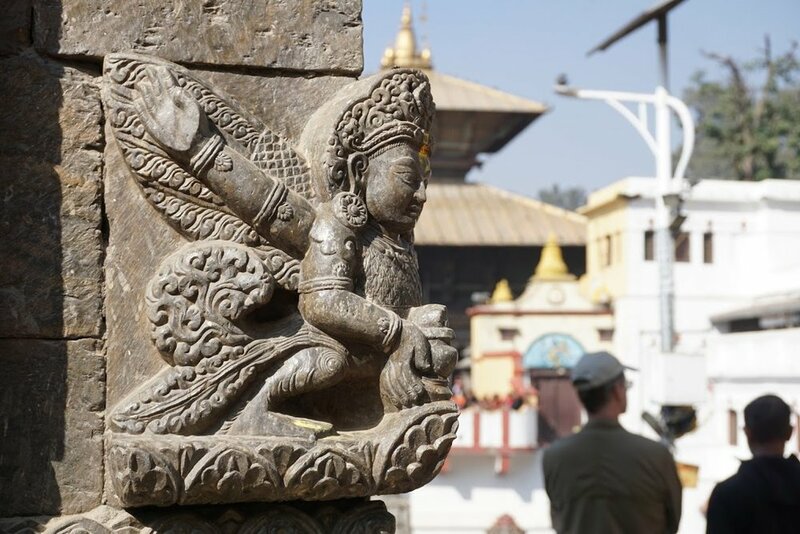 Red-bottomed monkeys, stray dogs running through the river, and vendors selling all matters of trinkets added a festive air. We pay to pose with a sadhu, a colorfully decorated Hindu holy person said to renounce all worldly possessions. However our guide tells us this particular fellow's insistence on being paid for photos makes his piety somewhat suspect. 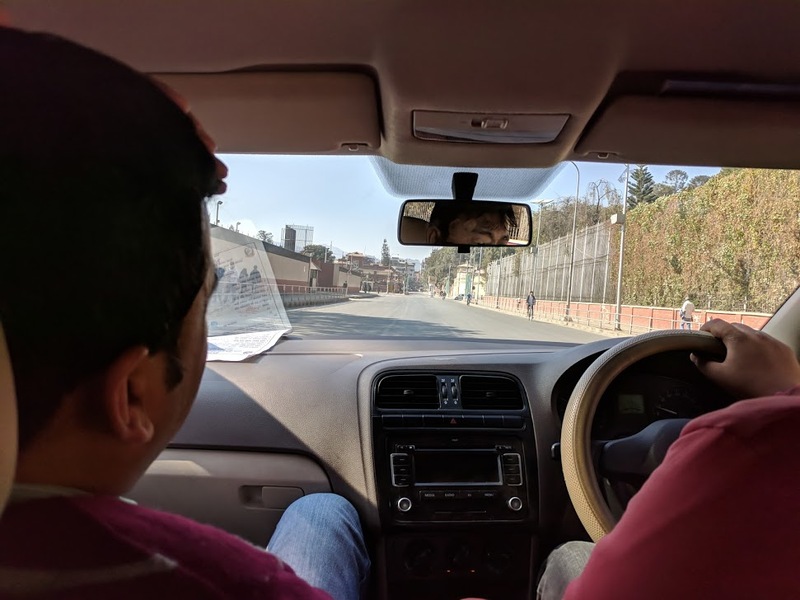 We see evidence of the spring 2015 earthquake that killed 9,000 Nepalis - numerous construction sites and still cracked walls - as we head to Bouddhanath Stupa, the holiest Tibetan Buddhist temple outside Tibet. Dating to the 14th century, from above it looks like a giant mandala, or diagram of the Buddhist cosmos. Nearby we tour the Ribcheling Thanka Gallery and Art School, an artist co-op. 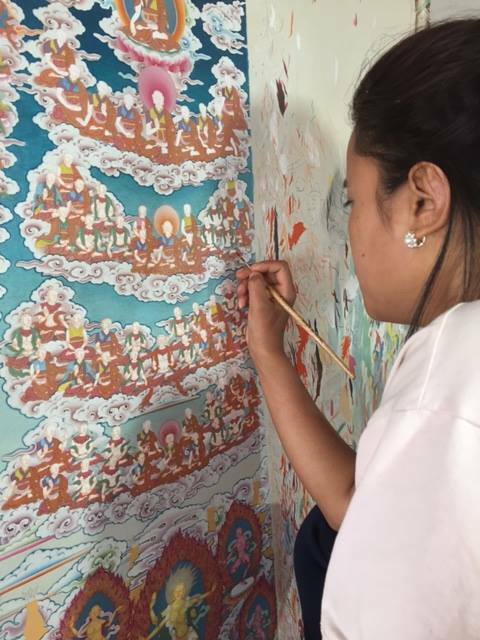 It specializes in thangkas, Tibetan Buddhist paintings, some with 24 karat gold and natural stone colors, used as an aid to meditation and prayer. We next tour the Healing Bowl and Therapy House where, bizarrely, heavy hand-hammered bowls made of seven different metals are placed on our heads, and over our bodies, then are struck repeatedly, thus summoning the healing qualities of both sound and vibration. The procedure dates back to the Bronze Age, about 3000 BCE. "It's not magic, it's physics," we're told by the singing bowl therapist staffing the store. Perhaps. As I request treatment for my one kidney, I'm reminded what my mother used to say about the medicinal value of chicken soup: "It couldn't hurt." 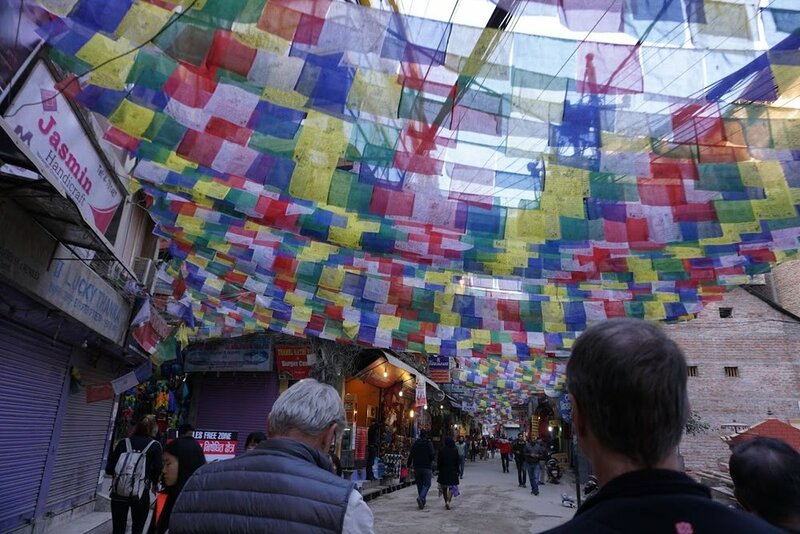 With some free time I snake my way through the popular Thamel neighborhood, the labyrinthian center of Kat's tourist industry for four decades. 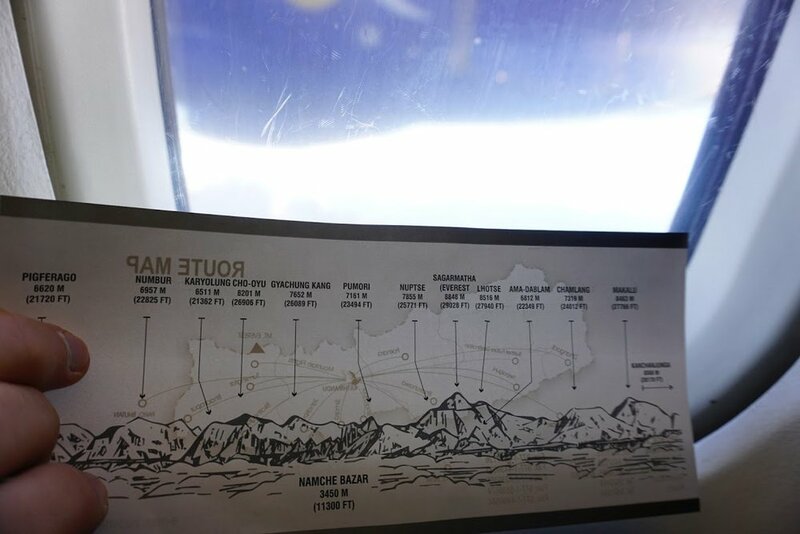 Shops offer $200 sightseeing flights to view Mt. 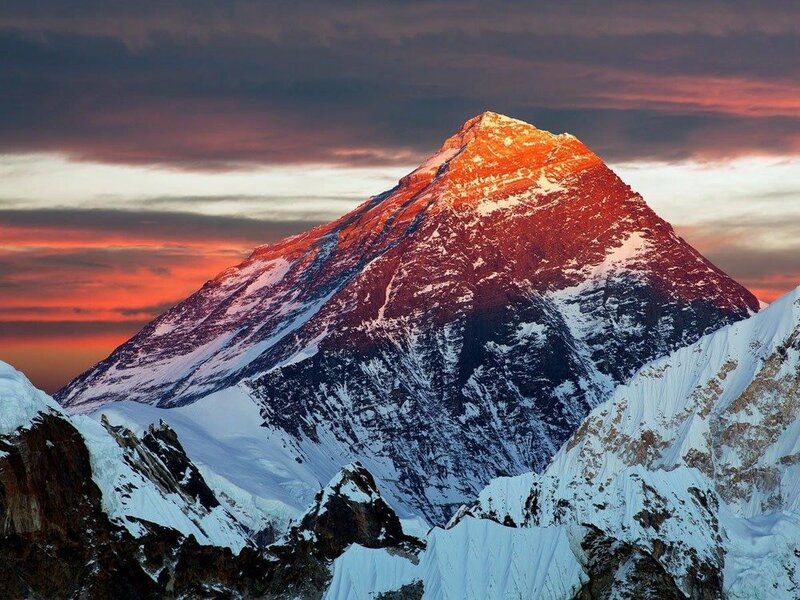 Everest, restaurants prey on timid Western stomachs, and outdoor stores offer $35 down jackets, most counterfeit, most filled with anything but natural feathers. There are cobwebs of wires everywhere, rubber-coated spaghetti on every pole. One for telephone, one for power, one for internet, one for TV, going into every apartment. Like much of everything else in this country of 29 million, no one knows how, but it all seems to work. 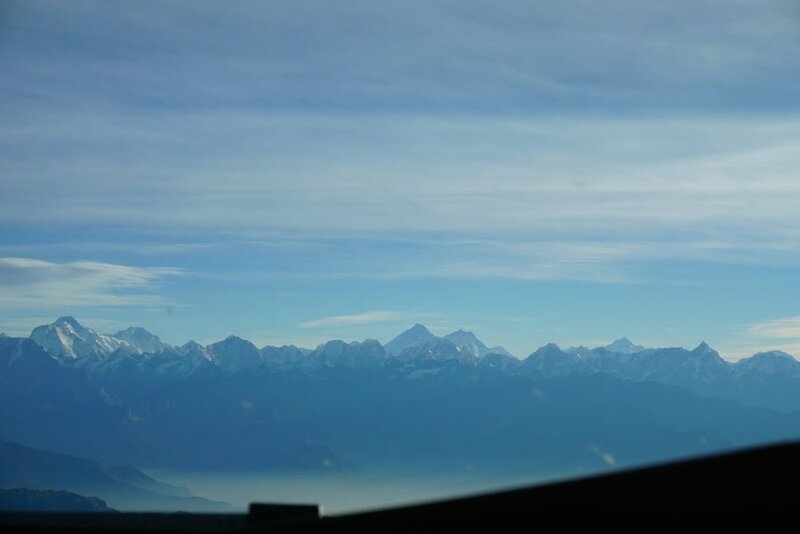 "Arrived Soti Khola after 10 hours being Maytagged over washboard roads. It's morning now, and the start of trek w/ pack mules." Update from our Partners at Dooley Intermed. "Sunday afternoon Lapu Besi. Screenings started at local school. Team is well. Kids especially cute in blue uniforms." Update from our Partners at Dooley Intermed – Scott Hamilton. 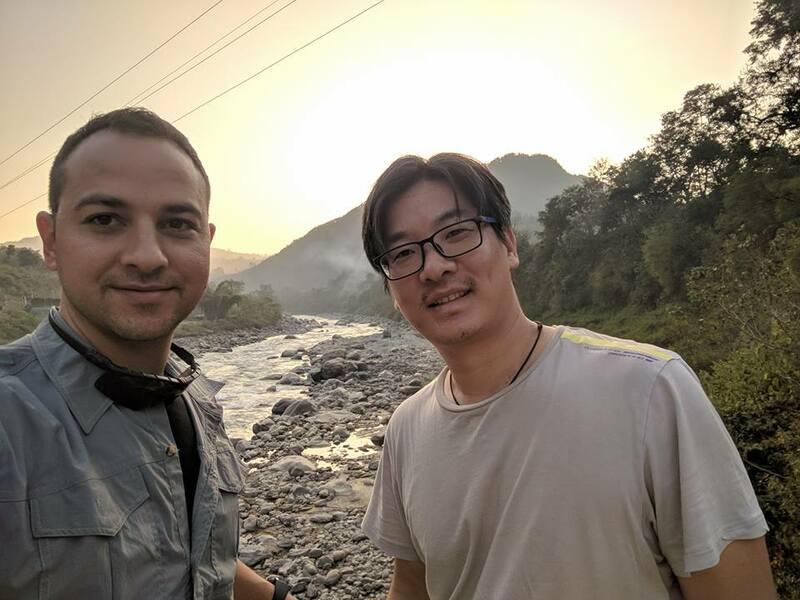 "After grueling 4hr trek, we arrived at destination - Machhakhola. Hit ground running; 200 patients waiting, including many cats. 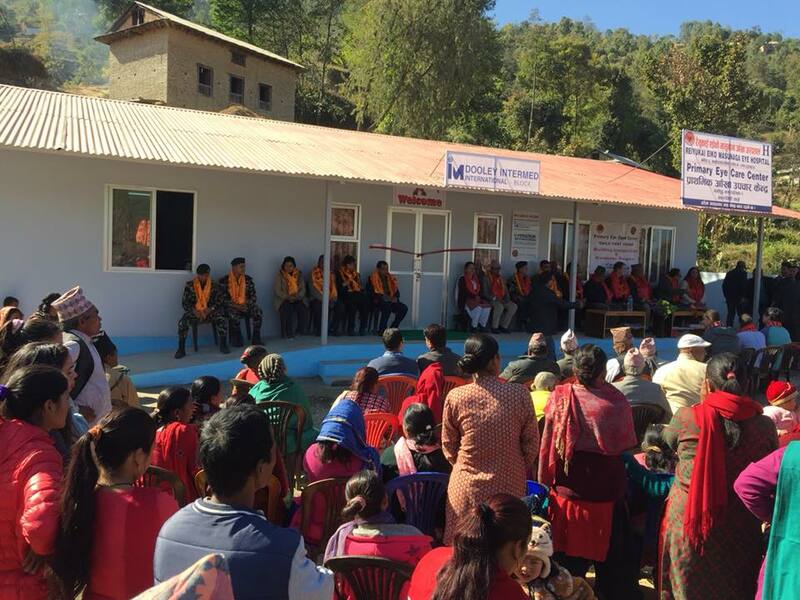 For decades, we have been providing health services to those in need in the remotest regions of the world. That never became more apparent to me than here in one of the world's poorest countries. 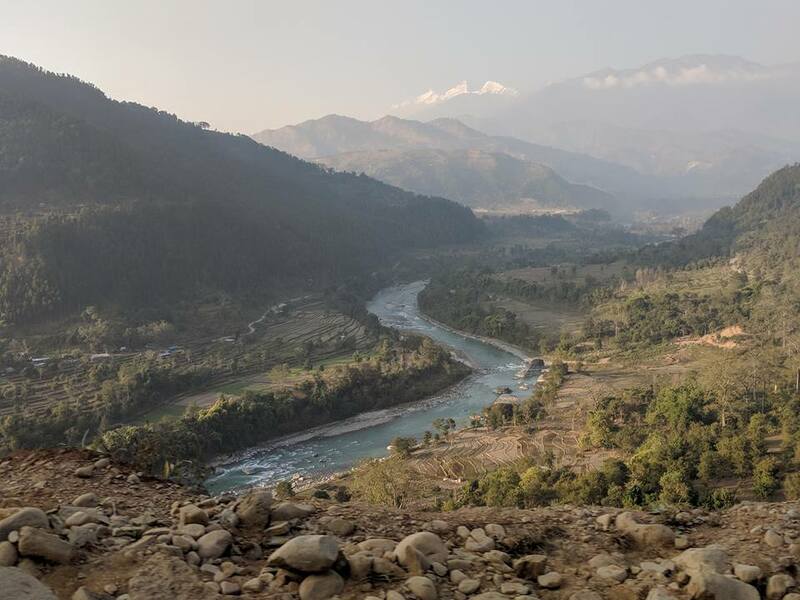 The only way to reach our final destination, the hillside village of Machhakhola, was another four hour trek along this undulating, rocky terrain, making this impoverished settlement a total eight-hour hike from the nearest road. Piles of mule crap line the trail, making passage particularly tricky. Speaking of mules, we share the trail with numerous mule trains, some carrying large containers of explosive propane cooking gas. 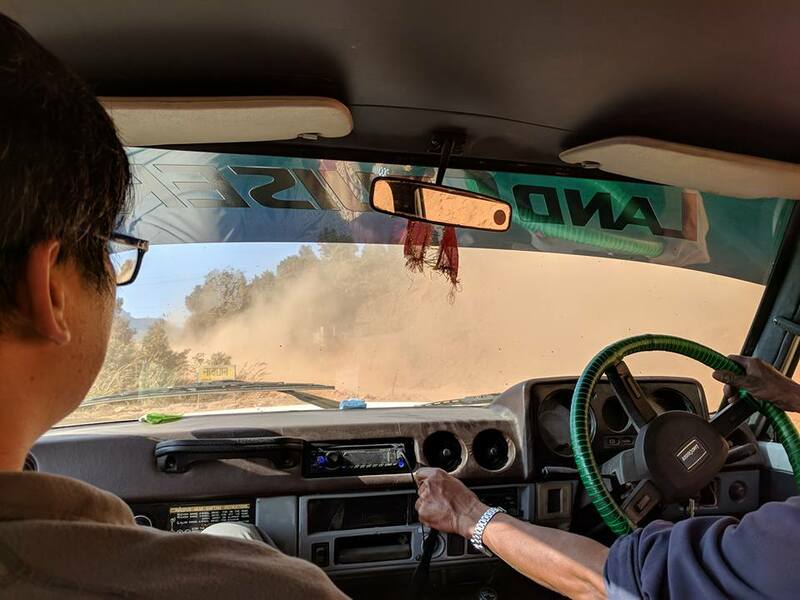 Best tip when faced with an oncoming mule: stand on the uphill side; I was already whacked once by a bag of rice hanging on the side of one particularly large beast - the sideswipe got my attention. 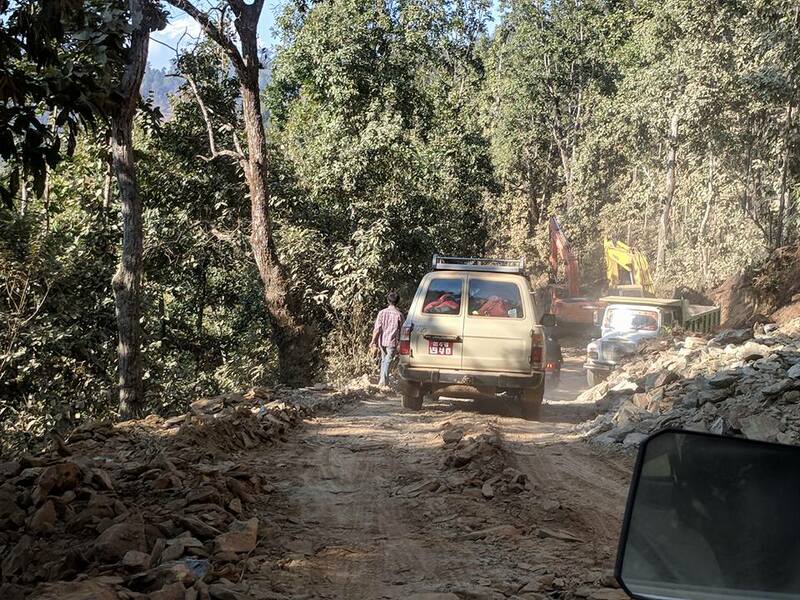 Gingerly crossing a tremendous landslide caused by the earthquake, we arrive at Machhakkola to applause from a crowd of 100 Nepalis eagerly awaiting our arrival. Marigold garlands are ceremoniously placed over our heads. Dozens of villagers crowd the central square - old men hunched over with walking sticks, women in brightly covered clothing, young mothers carrying babies on their backs, some nursing. There's a young man leading an obviously blind parent by the hand. 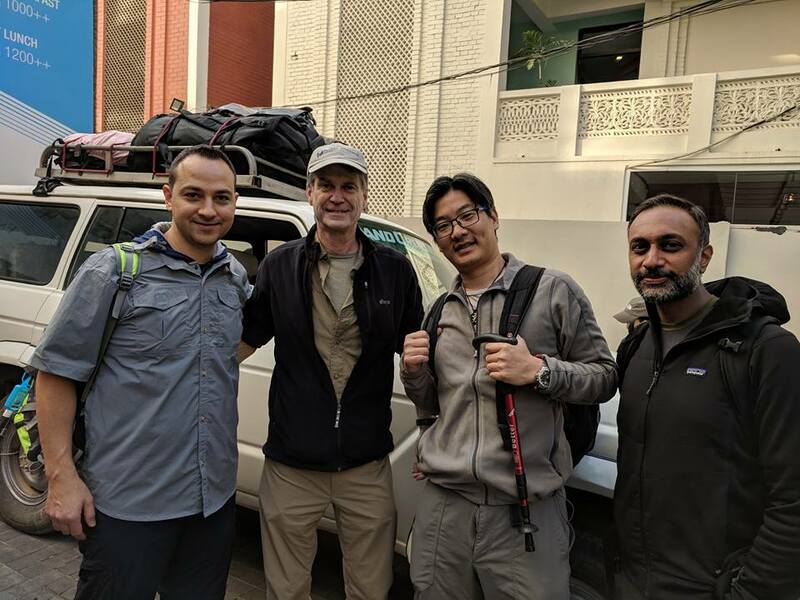 We're told some walked a day to get here, an impressive feat considering most locals wear a pair of open-toed sandals, certainly not the modern hiking boots or trekking poles that we couldn't imagine going without. 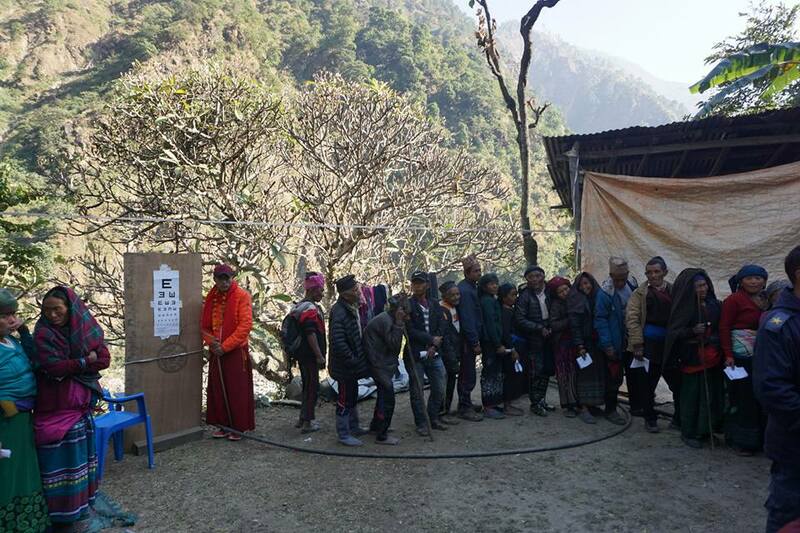 Dozens of Nepalis crowd our makeshift examination room. We hit the ground running." - Jeff Blumenfeld. Update from our Partners at Dooley Intermed. "Operations have begun; over 60 cat surgeries scheduled + ops for blocked tear ducts, droopy lids, chronic eye infect. D-I/ORV docs are operating late into the night on generator power. Buddhist monks helped screen patients today. More patients tomorrow." Update from Scott Hamilton, our partners at Dooley Intermed. 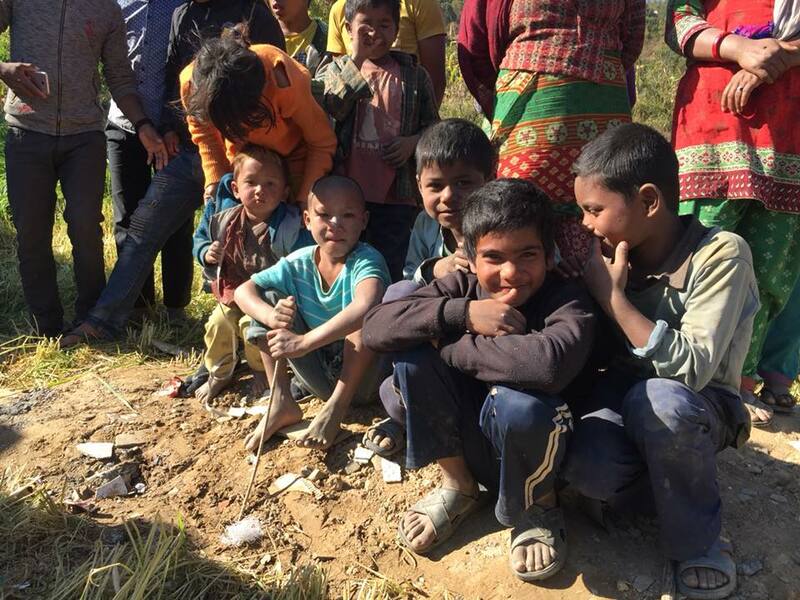 "These people have so little, their lives made harder still by the spring 2015 earthquake whose epicenter occurred here, directly below the hillside village of Machhakhola. We awaken this morning at 5 a.m. to the beating drums of a funeral ceremony in the distance. Our unheated tea house rooms are luxurious by Nepal standards. 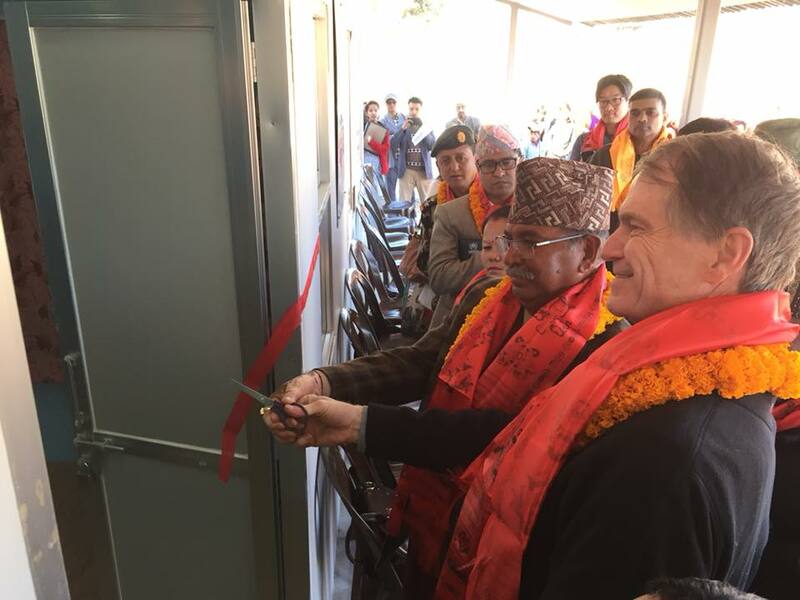 There is electric power for three hours at night, padlocked doors to secure our possessions, two single beds with one-layer foam mattresses, and a single squat hole toilet down the hall, which admittedly, requires a certain skill to successfully employ. During a morning walk I cross a swaying steel footbridge and look back at a scene of particular desperation. Smoke from poorly ventilated tin roof shacks billow out; mules, chickens, a pig and goats roam freely; and a few single room stores sell a few dusty items of household necessities. 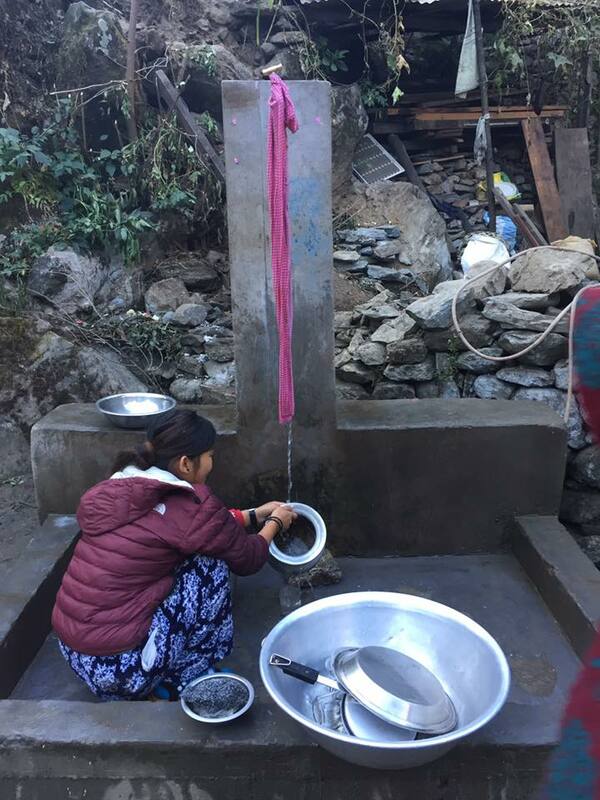 A single water tap in the central square provides water for drinking, washing, cooking. Those of us with delicate western stomachs give it a wide berth as we frequently apply Purel sanitizer to our hands. We are, some might say, blissfully isolated from the world. Our Kat-bought Sim cards are temperamental, there's no internet, and no newspapers. One consolation is an inReach emergency satellite device that allows us to send 160-character texts, and summon emergency aid if necessary. Otherwise, this blog has to wait until I return Friday to the city. blind. 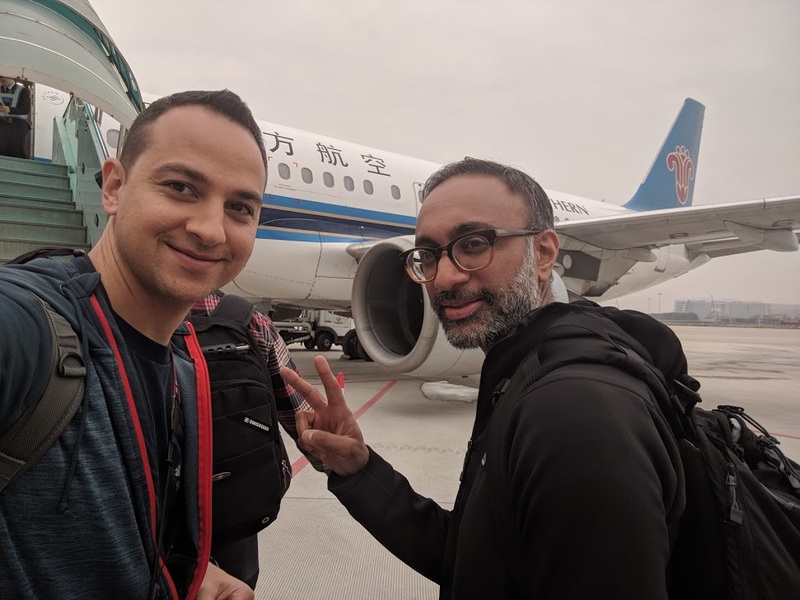 So far its been a grueling, but intensively satisfying trip." - Jeff Blumenfeld. Update from our partners at Dooley Intermed. "This a.m. bandages removed on 42 patients. Smiles all round. Tomorrow are final surgeries. 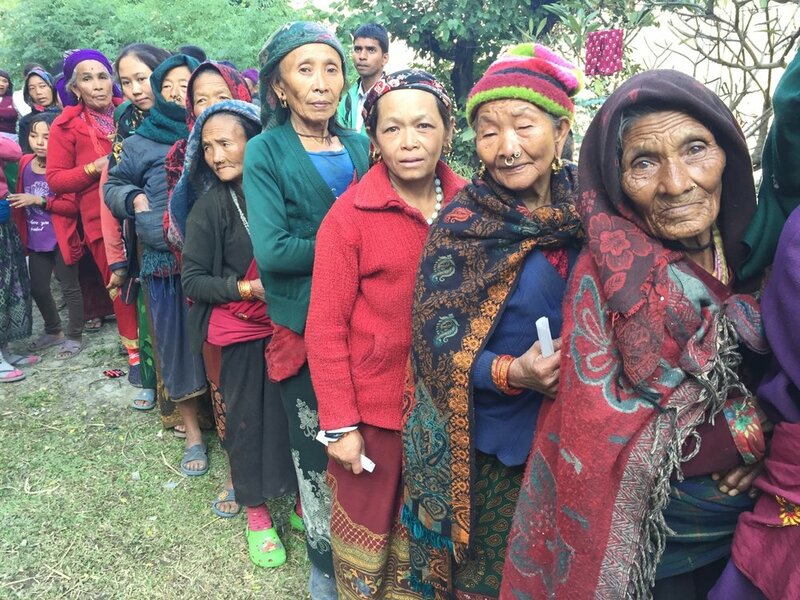 We leave Machhakhola on Friday, having helped provide quality eye care to hundreds of people and children (shown here waiting in line). 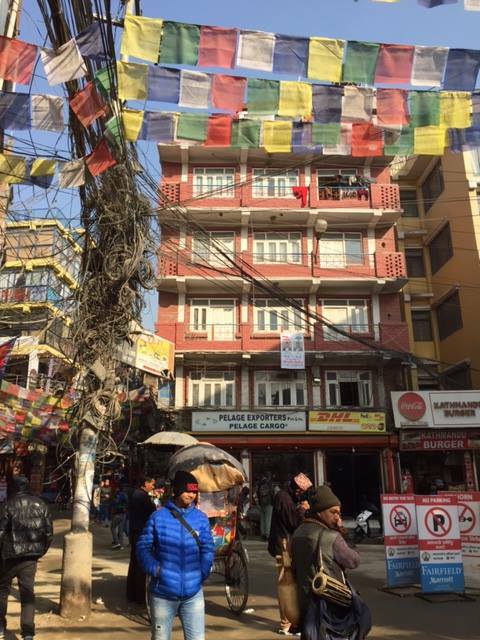 Nepalis very friendly, and very appreciative." - Scott Hamilton. Photos by Lars Perkins. Update from our partners Dooley Intermed. 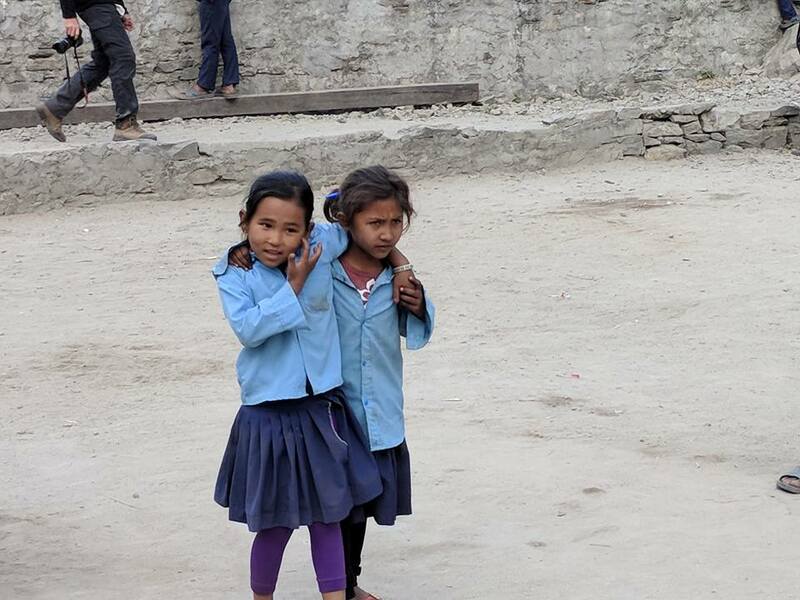 "Often during our stay in Machhakhola schoolchildren we meet will clasp their hands together, say "Namaste," and in the next breath ask for chocolates, money or pens. 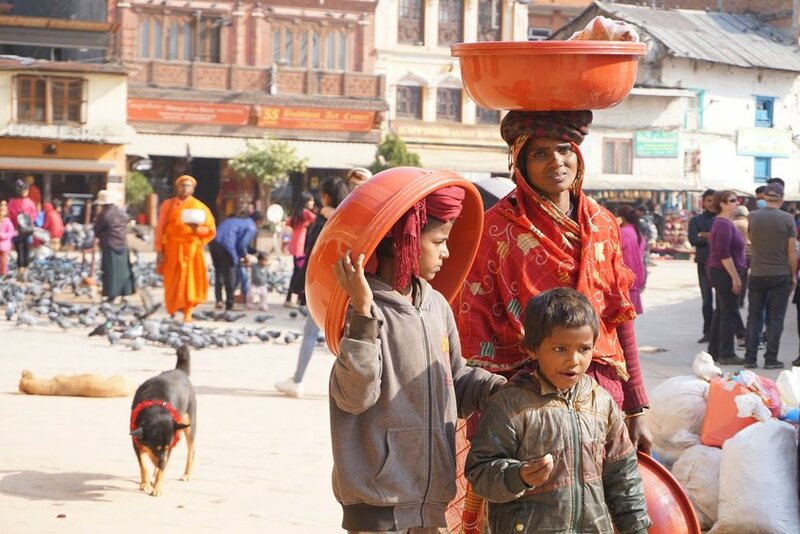 Our Nepali hosts say this engenders a beggar mentality, and that donations should be made through schools. Besides which, we're told, the kids don't need chocolates due to concerns about their dental health. 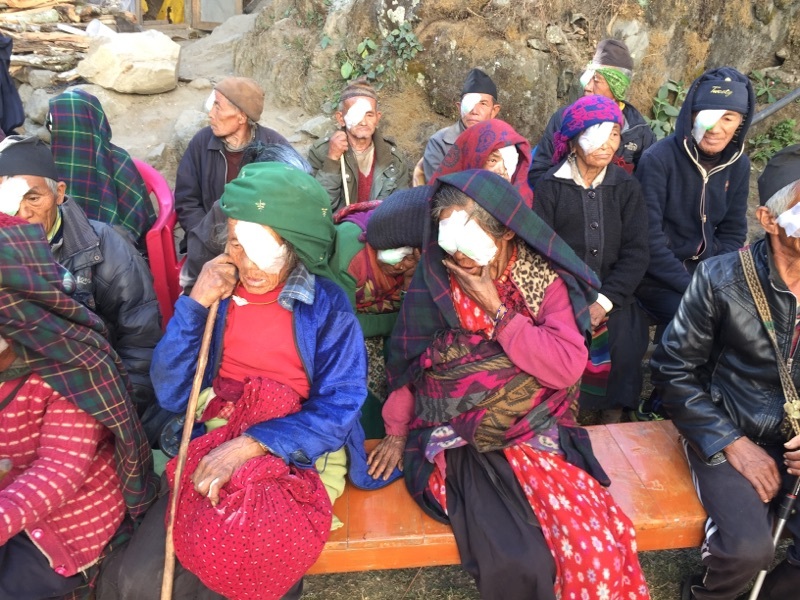 Numerous patients, some blinded by bilateral mature cataracts, speak a local dialect called Tamang instead of Nepali. 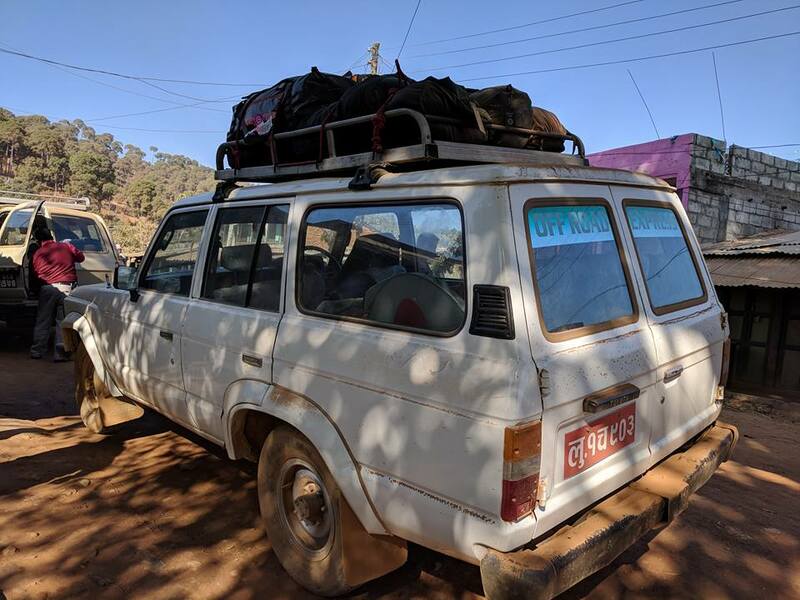 This necessitates one Tamang-to-Nepali translator working with a Nepali-English translator so our doctors can communicate with them. This complicates matters for our videographer, Daniel Byers, who is documenting the project. This morning was the reveal for 42 surgery patients; bandages were removed, doctors performed a final check, and sunglasses were handed out. These are not particularly emotive people. Their reactions to regaining sight were quite subdued, just a few smiles here and there, especially among family members who now no longer have to lead their loved ones by the cane. Tomorrow: another reveal, patient follow-up and the docs will handle any walk-ins from the surrounding communities." - Jeff Blumenfeld. Update from our partners at Dooley Intermed. "Final tally = over 800 patients (71 surgeries). 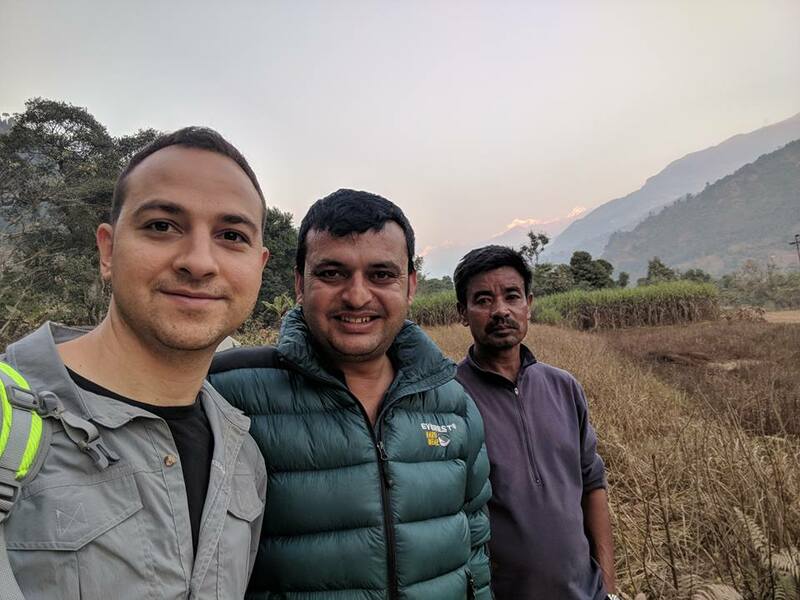 Team living on dalbat & warm hospitality of locals (dalbat is a traditional meal in Nepal consisting of steamed rice, cooked lentil soup and vegetables)." - Scott Hamilton. Update from our partners Dooley Intermed. 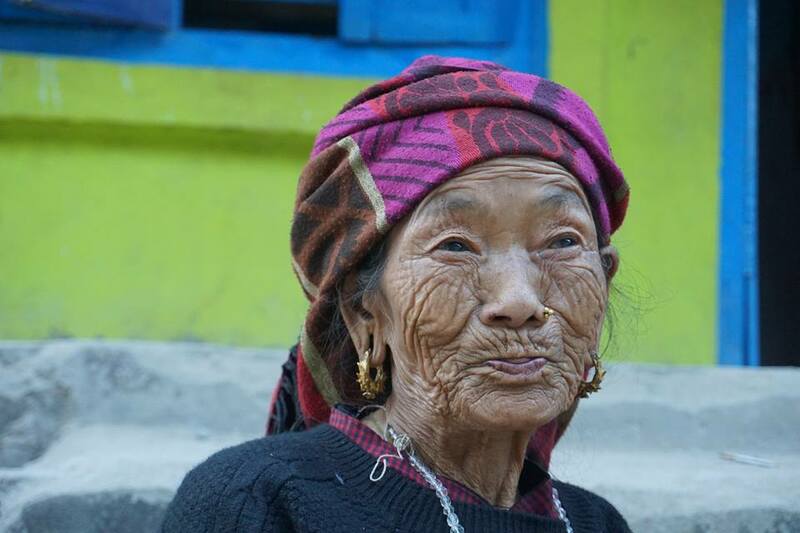 "Chinja Ghale, 65, is a proud Nepali who became blind three years ago. 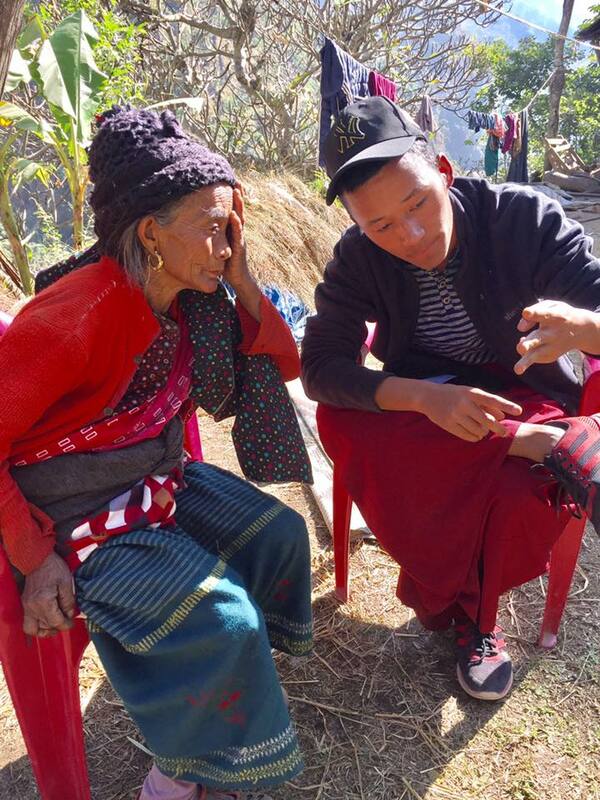 For five hours yesterday her son-in-law guided her along precipitous trails to the Dooley Intermed - Operation Restore Vision eye camp here in Machhakhola. Cataracts in both eyes turned her world into darkness. She walks barefoot to better feel the ground. Yesterday, the mature cataracts were removed from both eyes, replaced by intraocular lenses. This morning was the "reveal." As expedition leader Scott Hamilton, a certified ophthalmic technician, removed both bandages from her eyes, a smile came over her deeply lined face. She passed the finger test; was asked the color of the jacket on a volunteer. 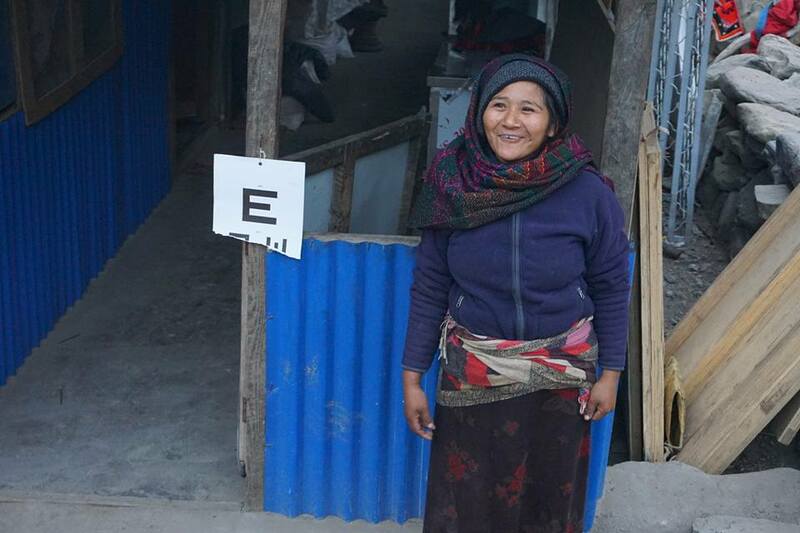 "Hariyo" (green)," she says in Nepali, now able to see colors again. Then suddenly she jumps up and begins walking in the dirt and hay-covered courtyard of our makeshift eye hospital, walking for the first time unassisted in three years. Through a translator she tells videographer Daniel Byers she is looking forward to returning to the fields. Her son-in-law, for his part, no longer has to serve as caretaker. She was carried in piggyback style, and walked out like a spring chicken. Ophthalmologist Chris Teng was astounded. "I started residency in 2005 and this is the first time I've seen someone with bilateral (both eyes) mature cataracts make such a complete recovery. In the States you typically don't see cataracts this advanced." 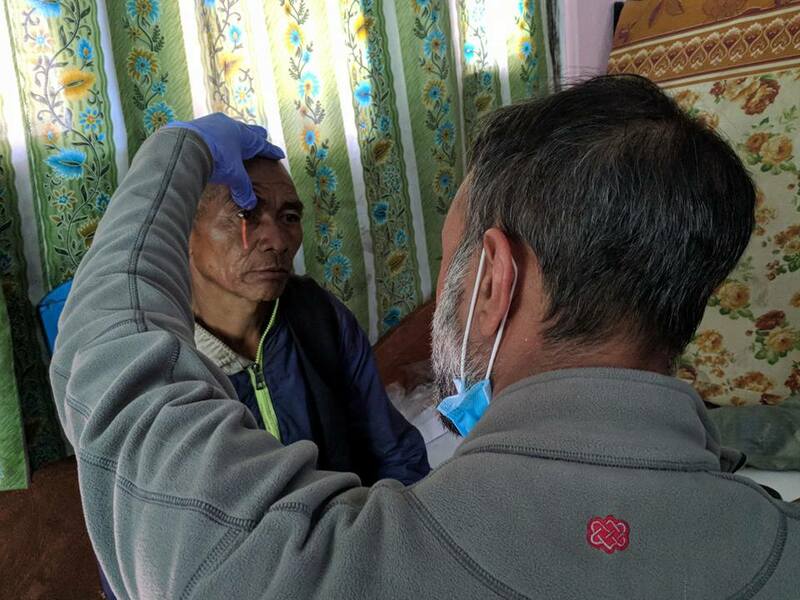 Another 24 patients, some who had single cataracts removed, others with infections and other eye ailments, were also sent home this morning. Down the hillside below the eye camp, a woman squats next to her home pounding rocks into gravel which she'll later sell to support her family. We see numerous other women throughout our eight hour trek, also pounding rocks, making gravel. 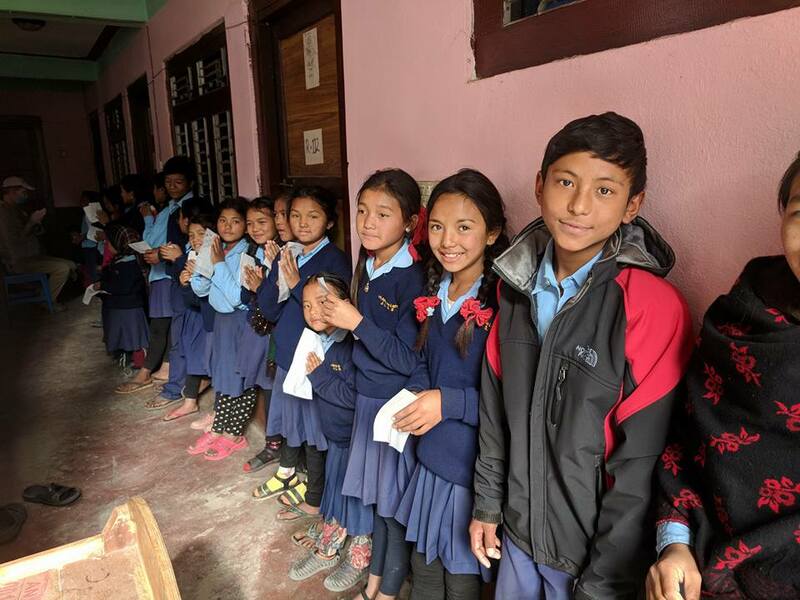 We can't help everyone in this impoverished village, but over these past four days, for over 800 eye patients (71 surgeries), the quality of their lives forever changed for the better. Friday is our planned extraction by helicopter. The sooner our doctors return to their U.S. practices, the better." - Jeff Blumenfeld. Update from our partners at Dooley Intermed. "A big day indeed!! 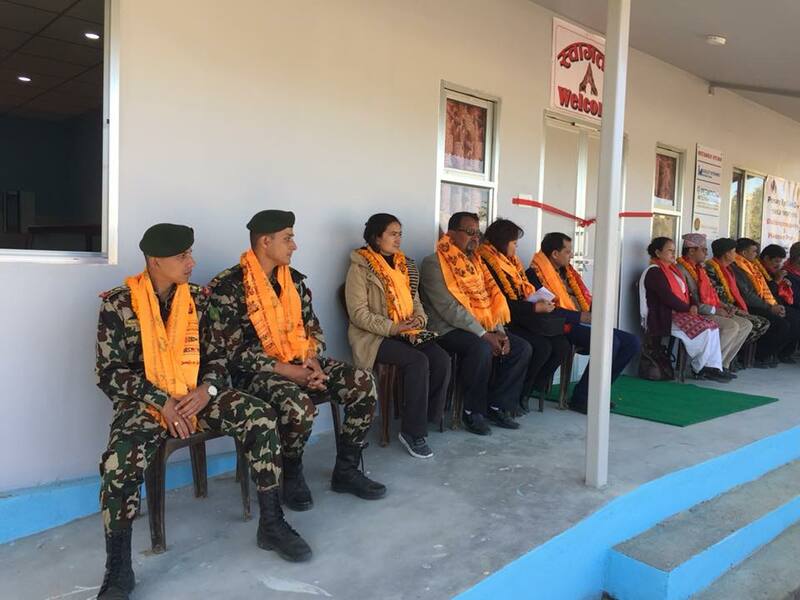 “Primary Eye Care Center” inaugurated today at Bhakundebesi, Kavre. Reiyukai Eiko Masunaga Eye Hospital is operating this Clinic from Monday to Saturday." - Kalyan Silwal. Updates from our partners Dooley Intermed. 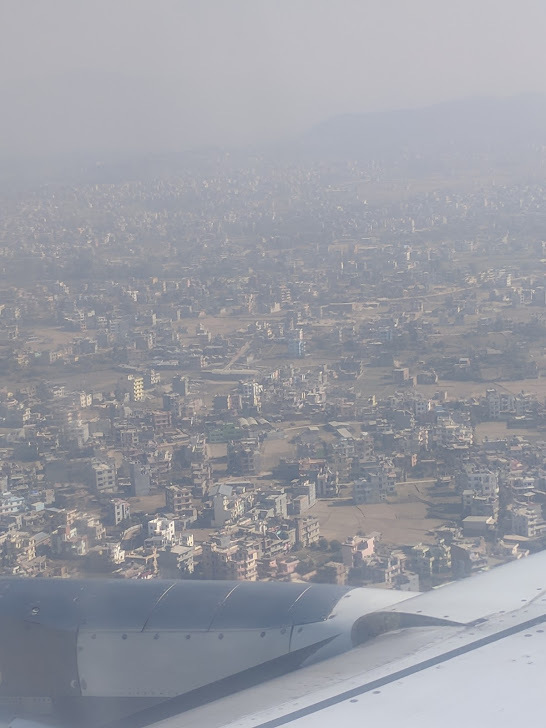 "Back to Kathmandu, after a most awaited Eye Surgery Camp in remote Machhakhola (Gumda VDC), of Gorkha District. 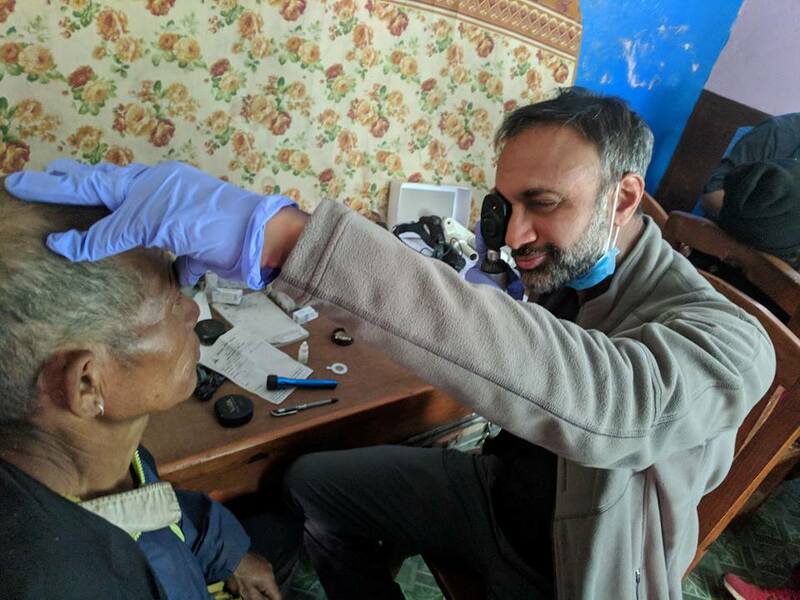 A team of highly professional Eye Doctors from New York & Himalayan Eye Hospital Pokhara conducted 4 Days Eye screening & Surgery Camp. 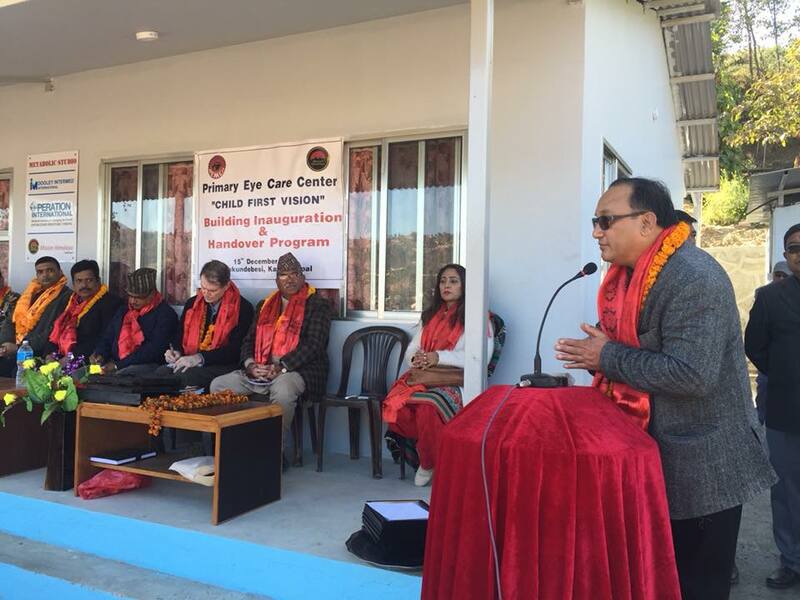 During this period they have successfully operated 71 cataracts & several other cases for needy people. 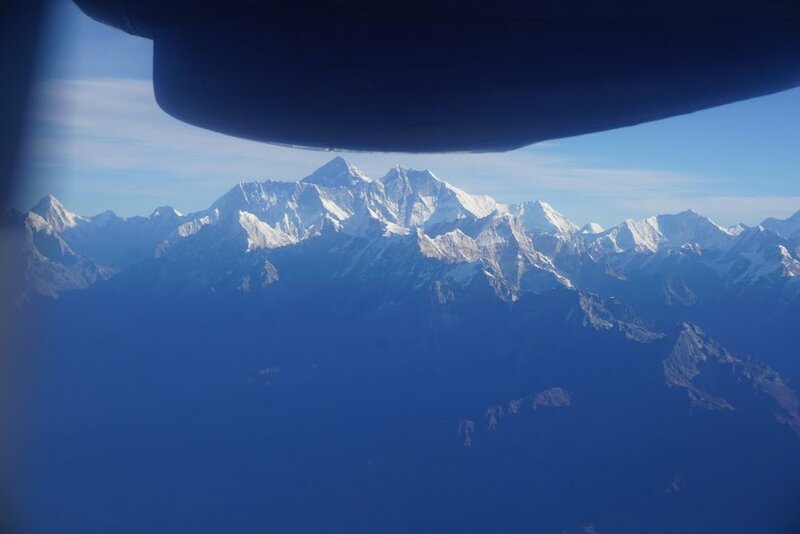 On behalf of Himalayan Holidays & Mission Himalaya, I am so proud to be a logistic Manager of this very special project. Special Thanks to Scott Hamilton President Dooley Intermed, Dr. Sanjay Kedhar, Dr. Omar Ozgur, Dr. Chris from ORV including Lars Perkins & Jeff. Also thanks to Mr. Daniel Byers for coming all the way to shoot this project. 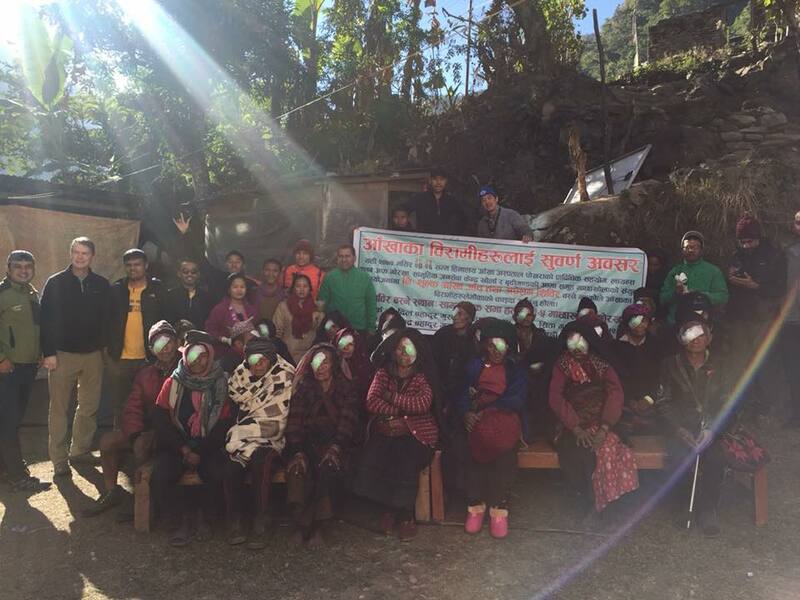 This would not be possible without the cooperation of Himalayan Eye Hospital. Thanks to wonderful Team including Dr. Indra Man, Govinda Nath Yogi, Bhoj Raj Gautam, Kesh Maya & Chet Kumari.